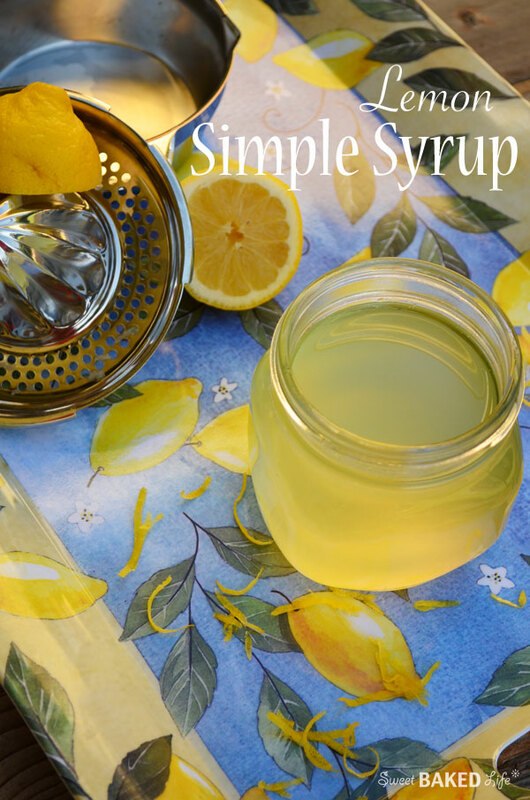 Here is a quick and easy recipe for Lemon Simple Syrup. You can make a batch of this lemony sweetness to include in many of your favorite recipes. Sometimes I make a double batch just to make sure I have it on hand. It’s great to use in desserts, such as to soak a cake, as a sweetener in your summertime iced tea or in a refreshing cocktail like a margarita, or whatever else you need to sweeten with some lemon goodness! Heat sugar, zest, and 1 cup water in a small saucepan over medium-high heat, stirring, until sugar has dissolved. Bring to a boil. Pour through a fine sieve into a medium bowl; discard solids. Let cool completely then stir in the fresh lemon juice. Store in an airtight container in the refrigerator up to 1 month. So, add some sweet goodness to your summer recipes with this Lemon Simple Syrup — you’ll be glad you did! Fabulous idea. Although most likely I’d be mixing a lot of cocktails with this. Ain’t nothing wrong with that, right? Thanks! Absolutely nothing wrong with that in my book!